Trying to describe a particular shade of blue has never struck me as difficult. But having clapped eyes on the seas that surround The Bahamas, I find myself racking my brain to put together a description that does them justice. The colour is totally, utterly and gobsmackingly gorgeous; the turquoise expanse practically glows, making even the sky seem flat and washed out in comparison. The poetic – if a little implausible – saying goes that the sea that surrounds each of the 700-strong Bahamian islands is a different hue. But if I'd been here just a week or two ago, the only colour I'd have been able to see would have been grey, because, in an unusual natural phenomenon known as 'negative surge', the water was sucked away from The Bahamas' coastline, leaving only mudflats behind. This was part of the havoc wreaked by not one but two hurricanes, Irma and Jose, that ripped through the Caribbean in quick succession in September. Now, at the end of the month, the sea is back in all its shimmering glory, the only sign of the devastation is a few boarded-up windows on the brightly painted houses. The Bahamas got off relatively lightly; the storms just brushed its shores, only causing severe damage in the south. Given that the country takes so much pride in its crystal-clear sea, this caused national uproar. "Part of our life has always been water," says Cordell Thompson, former director of communications at The Bahamas Ministry of Tourism and Aviation. "Christopher Columbus landed smack-bang in the middle of The Bahamas in 1492 and we've been at the centre of everything since. You can't go from North to South America unless you come through The Bahamas. You can't go from Europe to Mexico or Asia unless you hit The Bahamas. We've always been part of worldwide trade, good and bad." Aside from playing a pivotal role in the islands' history, the water is also responsible for luring thousands of visitors to the archipelago each year. 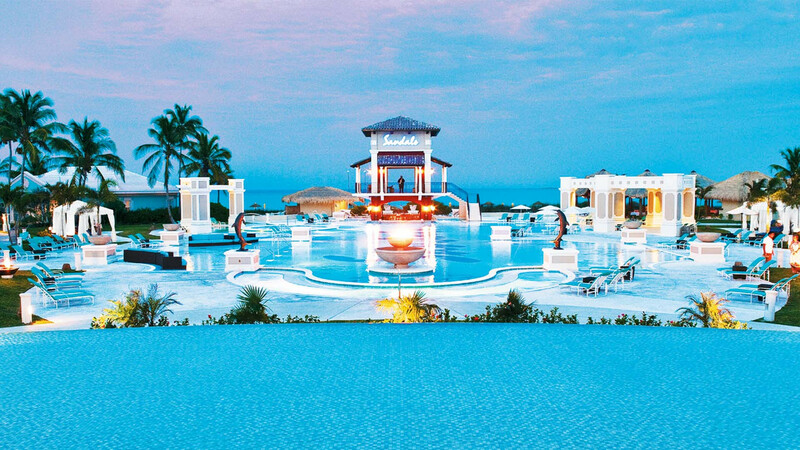 The Commonwealth of The Bahamas lies just to the southwest of Florida – the capital, Nassau, is a hop, skip and a 40-minute flight from Miami – which makes it a popular destination for Americans, particularly during Spring Break. If that conjures images of partly clothed revellers frolicking in the waves and looking for their next party, well, that doesn't sound all that different to The Bahamas' past as a pirate haven, and all the swashbuckling, rum-filled history you'd expect – and that went on to inspire the blockbuster Disney series Pirates of the Caribbean. But bloodthirsty drama is pretty hard for me to imagine right now. I'm sitting on the beach at Sandals Emerald Bay resort in the Exumas, clutching a cocktail called the 'Bahama Mama' – a modern-day pirate's grog made from coconut rum, dark rum, coffee liqueur, grenadine, and pineapple and orange juice. It's sweet, refreshing and dangerously gluggable. As far as I can tell, the people here are so laid back they're almost horizontal, most of them stretched out in a hammock. 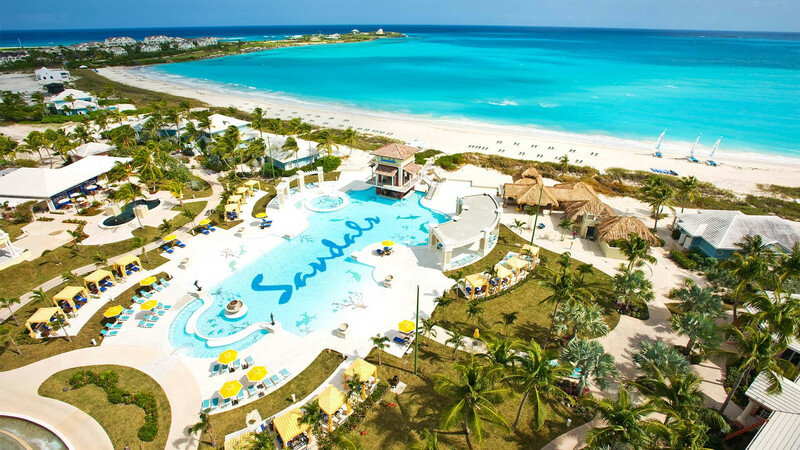 That might just have something to do with Sandals' unique atmosphere – from The Drunken Duck pub to the poolside cabanas, I think you'd be hard-pressed to find somewhere more devoted to helping you relax, have fun and completely unwind. It helps, of course, that the Emerald Bay property has one of the most stunning locations I've seen. The Exumas, a chain-within-a-chain of 365 cays and islands 35 miles southeast of Nassau, are widely regarded to be among The Bahamas' most beautiful areas, I'm told by Bahamians over Sunday lunch at Chat 'n' Chill on Stocking Island – an event so loved it's the closest thing to a weekly ritual you'll find here. This is island food at its finest: either hog roast or barbecued local fish, served with the regional staples – rice and peas, plantain and mac 'n' cheese, washed down with local beer Kalik. It's everything you'd expect from a beach shack, with a sleek 2017 twist courtesy of owner and savvy businessman KB. KB made the decision to rear his own pigs and chickens organically, set up accessible charging points around the beach site and listened to requests to serve fewer fried foods. 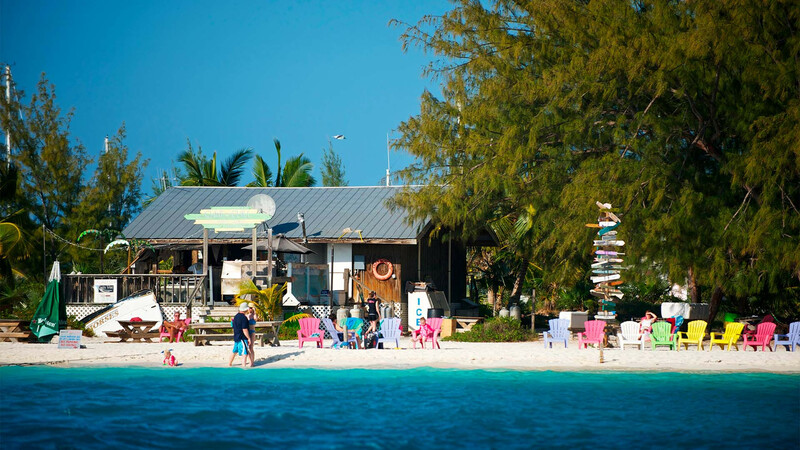 It's no surprise that Chat 'n' Chill receives around 200 visitors each day, who arrive by ferry from the Exumas' main hub, Georgetown, or in their own boats. I wander down to the water to take a closer look at a man expertly cracking open conch (pronounced 'konk') shells to get at the delicate flesh inside, while his colleague dices it up and makes conch salad – similar to South American ceviche – with sweet red onions, lime juice, salt and plenty of fresh chilli, a tangy dish that I hoover up with relish. The man then pulls a long, clear, worm-like thing out of a de-shelled conch and hands it to his mate, who swallows it in one. I ask what it is and if I can have one. He laughs. "We call that the conch 'pistol'… It's Bahamian viagra!" I decide to stick with the salad. Later, I'm perched on the edge of a speed boat with sea spray lashing my face, one hand holding onto the rail, the other firmly grasping another beer. A deserted-looking island heaves into view, our captain cuts the engine and we bob around in the waves. 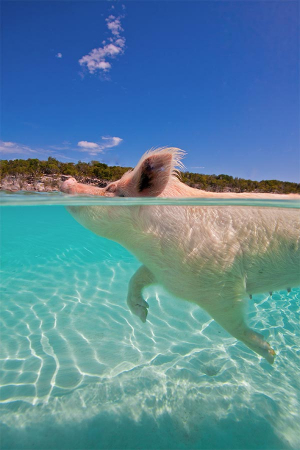 I'm about to launch myself into the water when one of the Exumas' famed swimming pigs enters my line of vision. Yep, really. Google it. But what an internet search won't tell you is that these pigs aren't exactly piglets. They are massive, and they're coming for your chicken sausage. Originally placed on a small deserted island as a source of protein – minus all the mess that comes from rearing livestock – these not-so-little porkers soon worked out that the sound of an engine meant someone was coming to feed them, and learned to swim out to meet the boat. Clever piggies. But even smarter was the person who worked out that this would go down a treat with tourists. Lo and behold, a social media sensation was born. Move over Kylie and Kendall – turns out all you need is trotters and an insatiable appetite. Sadly for my social media career, I don't have the former, but I do most definitely have the latter, especially when it comes to fresh lobster, lightly fried and served by Dee Rolle, founder of Santana's Grill in Williamstown, Little Exuma. If you're going to go to an island paradise, it's important you do it right. And, if you're in the Caribbean, that's likely to involve Sandals. 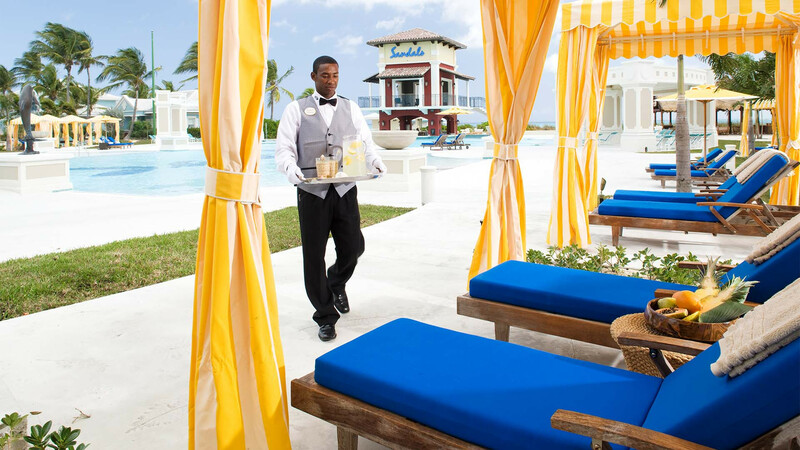 As well as being one of the world's best luxury all-inclusive holiday providers, what Sandals specialises in is romantic getaways – everything is designed for you to enjoy à deux, from boat trips to couples' massages. What'll really get you, though, are the resorts themselves. 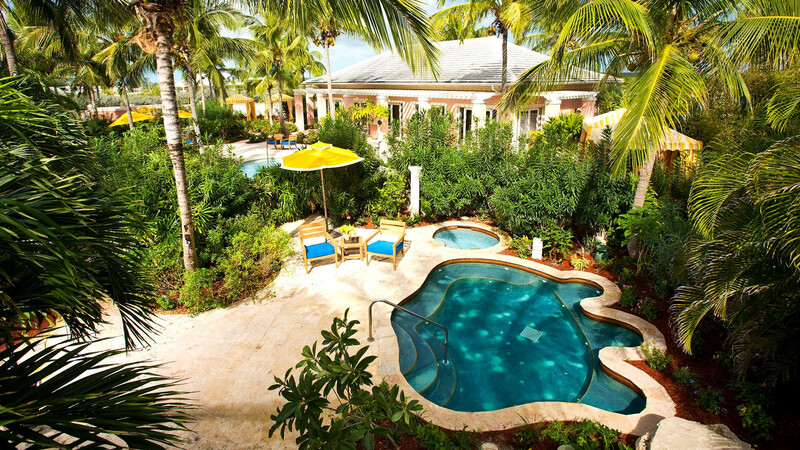 We were lucky enough to stay at Sandals Emerald Bay, on Johnny Depp's beloved Exumas. It sits on a stretch of powder-soft beach, with villas tucked away amongst verdant foliage. Everything, as you'd expect, sings with refined luxury. When not on one of the excursions organised by the Sandals' team, we whiled away our days touring the resort's 12 restaurants, often ending up in The Drunken Duck for whiskey sours and karaoke. It's also great if you're a golfer – the 18-hole, Greg Norman-designed course is the jewel in the resort's crown, with a stunning setting on a rocky outcrop surrounded by sea. 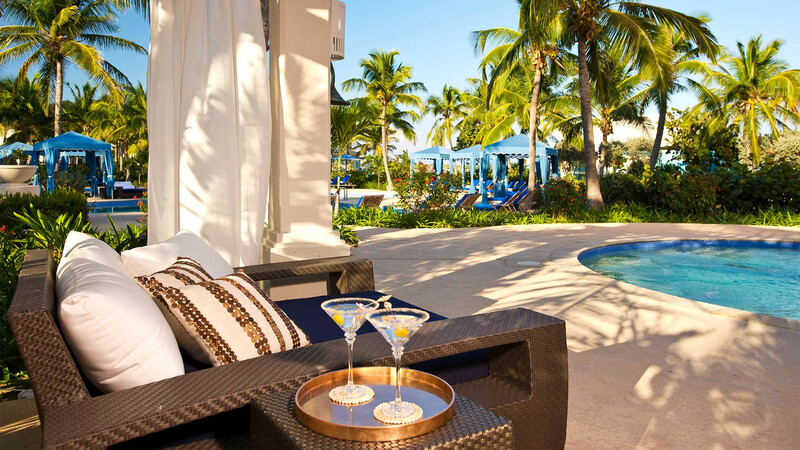 If you're more of a city rat, try Sandals Royal Bahamian on New Providence, where you'll get that beach getaway feel within a 15-minute drive of Nassau. It's a touch more modern than Emerald Bay – and as close to bustling as you'll come here – with a vibe would probably appeal to the younger set, but laidback Emerald Bay is the resort that captured our heart. I'm not her only fan – Rolle's brightly painted beach shack is a favourite of Exumas resident Johnny Depp, and she'll gladly bring out a box filled with photographs of her celebrity guests for you to paw your hot sauce-coated mitts through. This is the place to eat The Bahamas' beloved conch in all its glorious forms, from fresh salad to crack conch that's deep fried, with a crispy, battered outer shell (its name is derived from the way the conch is hand-cracked to make the dish) and fritters made from ground conch meat and local spices. Both eating and catching this shellfish is huge part of Bahamian life. "As a child, I remember going out at weekends in a boat with my dad and diving down to get the conch," says Murray Sweeting, my guide in Nassau. "We'd make the salad right there and then." And the conch is everywhere – aside from the meat being widely used in local dishes, the shells are used for everything from marking out parking spaces to making jewellery and reclaiming land from the sea. "The shells can't go back into the water," continues Murray "as living conchs can sense the threat nearby and abandon their 'bed', leaving it sterile." This is just one of many facts I learn on the Bites of Nassau tour, organised by local company Tru Bahamian. One of my favourite things about The Bahamas is that every government building is painted pink, which stems from a time when the red sap of the logwood tree was mixed with building materials. Another is that one in six Bahamians is called Elvis thanks to a local love of rock 'n' roll. 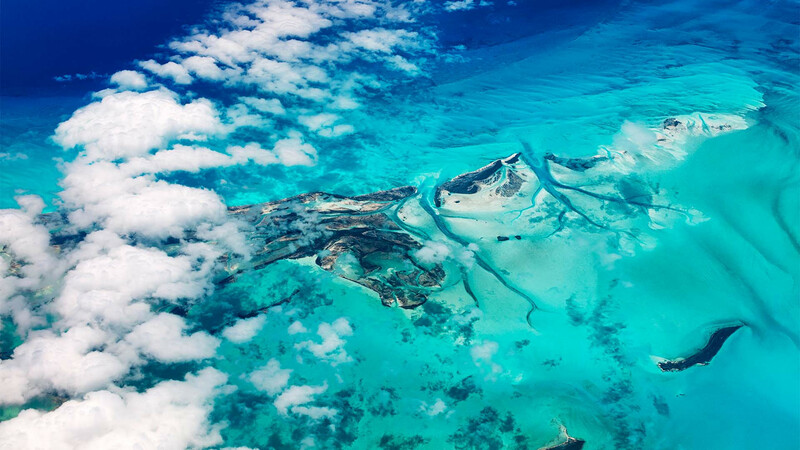 Where the Exumas are all about the beach, Nassau is a bustling port city, bringing together the bright colours of the Caribbean with faded colonial elegance, its wide boulevards lined with buildings that range from charmingly rustic to weatherbeaten and seemingly about to fall down. There's plenty of culture to absorb here; the Pompey Museum of Slavery and Emancipation that tells the story of The Bahamas' history as a slave nation, housed in the old slave market; a market on the waterfront; and picturesque wooden houses. Many of these wooden houses also happen to be cute little B&Bs, of which you'll find plenty in central Nassau. For 1950s nostalgia, book a night at the Towne Hotel – embrace the kitsch interior and head out to the inner courtyard with a pint-sized pool – or pop in for a drink at its Talking Stick bar, where you'll be in good company with Max, the hotel's resident blue macaw. 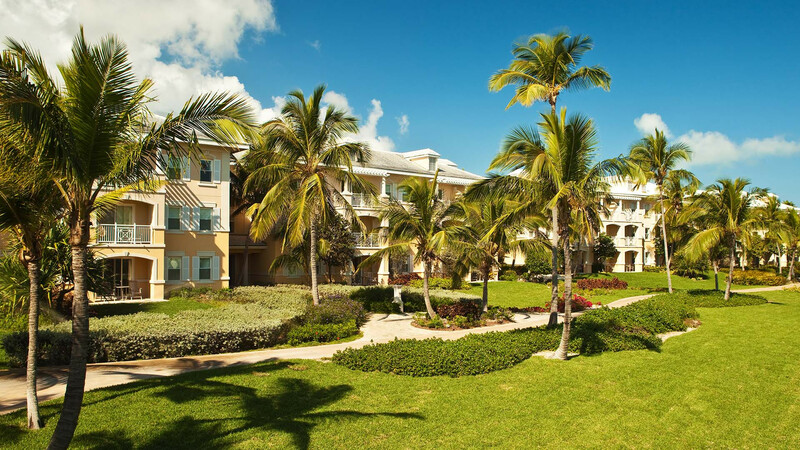 So, whether you're visiting an island oasis or strolling Nassau's streets, the laid-back, unforced nature of The Bahamas will make you feel like you're in paradise. As will the colour of that water.